I cant read MD handwriting! Ack! Even if this is one of those situations where the nurse and MD have a office or clinic relationship, it has error is written all overi it. It is time for all to green: paperless. 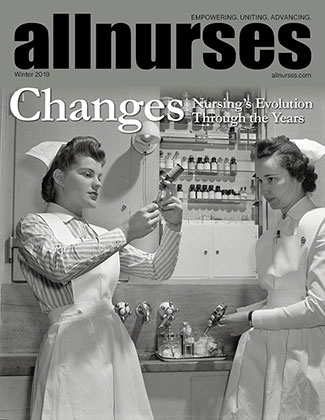 This is wonderful to hear that the more experienced nursses are warming up to the current trend of new grads in the ICU. I am fortunate to have witnessed great new graduates transitioning to care on my unit. I was there to help them through the rough moments and I must say they were many but am proud to say that they are all doing well. Good luck in your endeavor. I agree that the pharmacy issue is a disaster. The delay in patient care is tremendous. There has to be an easier automated way of approval of medicaltion and its reasonable delivery. What is a PDA for ? I concur with the previous post. The capabilities are rapidly endless.